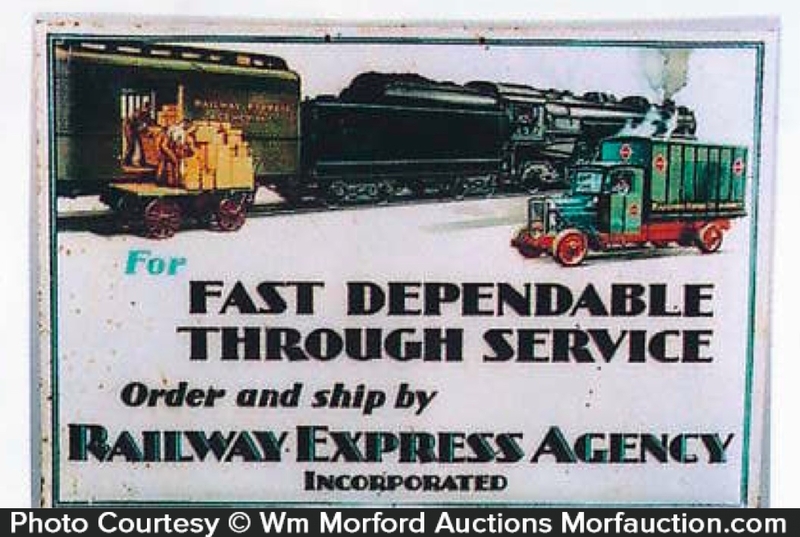 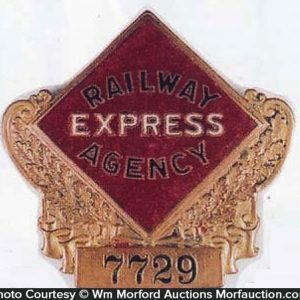 Early, tin over cardboard advertising sign for Railway Express Agency featuring great colorful graphics and excellent image. SKU: D9-100. 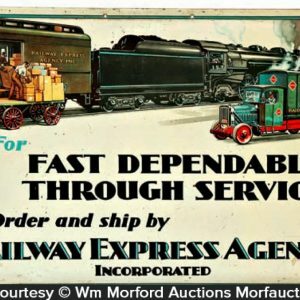 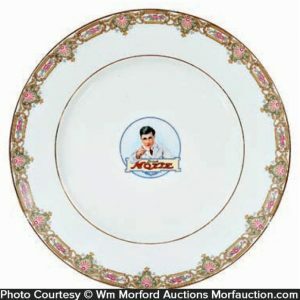 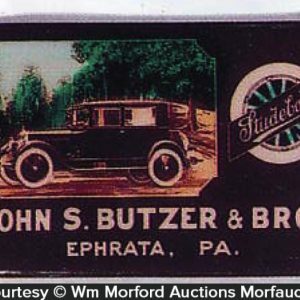 Categories: Antique Signs, Transportation. 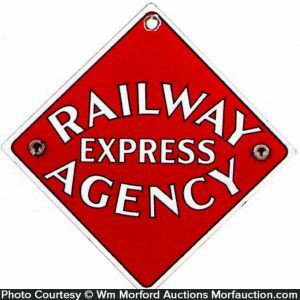 Company/Brand: Railway Express Co..
Railway Express Agency Sign: Early, tin over cardboard advertising sign for Railway Express Agency featuring great colorful graphics and excellent image. 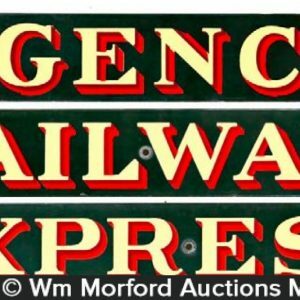 Sign is attractive and displays nicely (displays as a strong C. 7.5+) although there is a little light scratching and some light oxidized speckling stains scattered about (heavier on left side) nothing offensive or badly detracting. 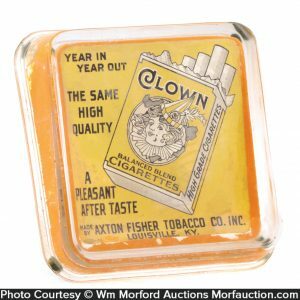 As found, might improve some w/ cleaning.